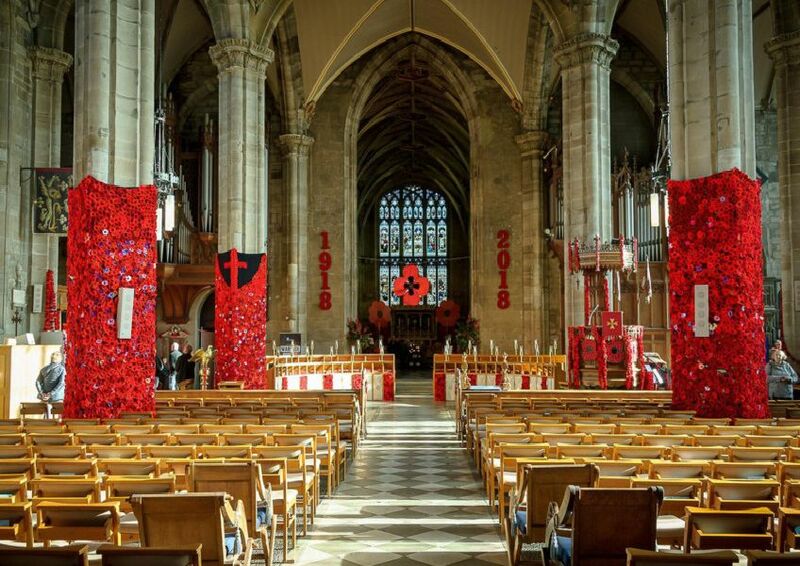 St Mary's Church in Warwick is currently the home of the Warwick Poppies community project which commemorates 100 years since the end of the First World War. The Warwick Poppies committee spent a year planning and gathering poppies for the community tribute and people from across the world sent in handmade poppies. The project now features more than 60,000 handmade poppies and will be on display until December 9. Click here for more information about the project. Ann Deakin visiting the community tribute in St Mary's Church in Warwick. Brian Romley visiting the community tribute in St Mary's Church in Warwick. David and Kathleen Pledge visiting the Warwick Poppies project in St Mary's Church. Philip Harris visiting the community tribute in St Mary's Church in Warwick.